The Psychology Section in the Department of Psychiatry at the Yale University School of Medicine invites applications to fill a 12-month position for a Postdoctoral Psychology Associate on the Young Adult Service at the Connecticut Mental Health Center. The Connecticut Mental Health Center is a large urban community mental health center that is a longstanding collaboration between the Connecticut Department of Mental Health and Addiction Services and Yale University. The center offers a broad array of behavioral health services to children, adolescents, young adults, and adults living in the greater New Haven area with limited social and economic resources. The Young Adult Service provides a comprehensive program of developmentally informed ambulatory services to clients 18 to 25 years of age experiencing serious psychiatric difficulty. This clinical placement offers psychology trainees an opportunity to learn about developmentally oriented, community-based treatment of clients negotiating the transition from adolescence to early adulthood. Many of the clients are moving from child to adult systems of care as they leave the custody of the child welfare system. When combined with a secondary experience on the Child and Adolescent Service, the placement offers an opportunity to participate in the delivery of psychiatric services to children, adolescents, and young adults with a history of exposure to complex trauma in the context of urban poverty. While serving as a care coordinator for selected clients and a psychological consultant in the care of others, Postdoctoral Psychology Associates provide individual psychotherapy, family and parent consultation, group therapy, psychological testing, risk assessment, case management services, and consultation to residential providers concerning the implementation of trauma-informed programs of behavioral support for clients exhibiting high-risk behaviors. Clinical supervision is provided by developmentally oriented licensed psychologists; there is an opportunity to choose a clinical, administrative, or scholarly elective; and there is an opportunity to define a program of didactic learning experiences. Applicants must have completed an APA or CPA-approved doctoral training program in clinical or counseling psychology and a CPA or APA-approved internship. Applicants interested in developmental psychopathology in clients 3 to 25 years of age represent the best match for the placement. Previous experience working with adolescents or young adults in a clinical setting is required. A July 1, 2019 start date is preferred but negotiable. To apply, please send a letter of interest, curriculum vitae, clinical work sample, and contact information for three professional references to thomas.mcmahon@yale.edu. 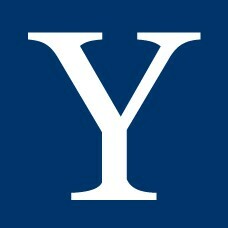 For more information about the Yale University School of Medicine, Department of Psychiatry, Psychology Section, and clinical programs within the Connecticut Mental Health Center, go to https://medicine.yale.edu/psychiatry. Questions about the program can be directed to Thomas McMahon, PhD at (203) 974-5950 or thomas.mcmahon@yale.edu.